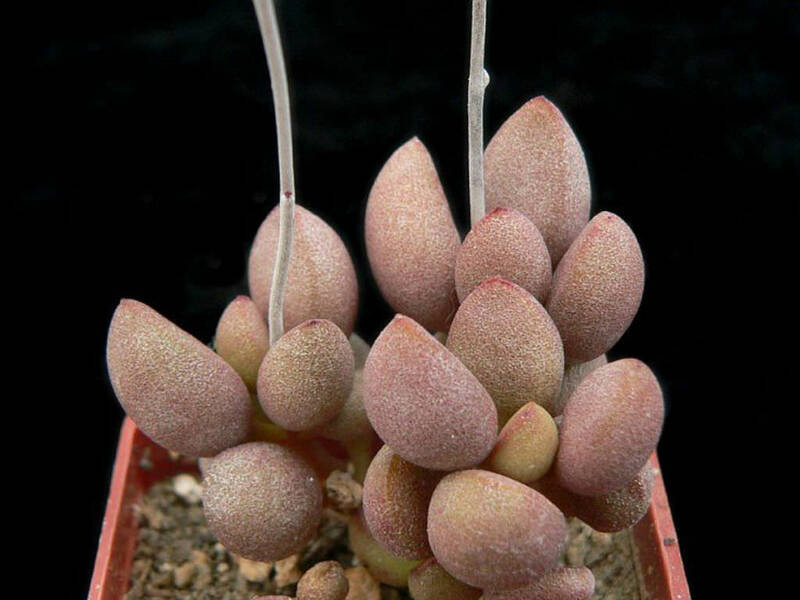 Adromischus marianae ‘Little Spheroid’ is a small, perennial, much-branched, leaf succulent, with thick stems, occasionally continued in fat fibrous roots. 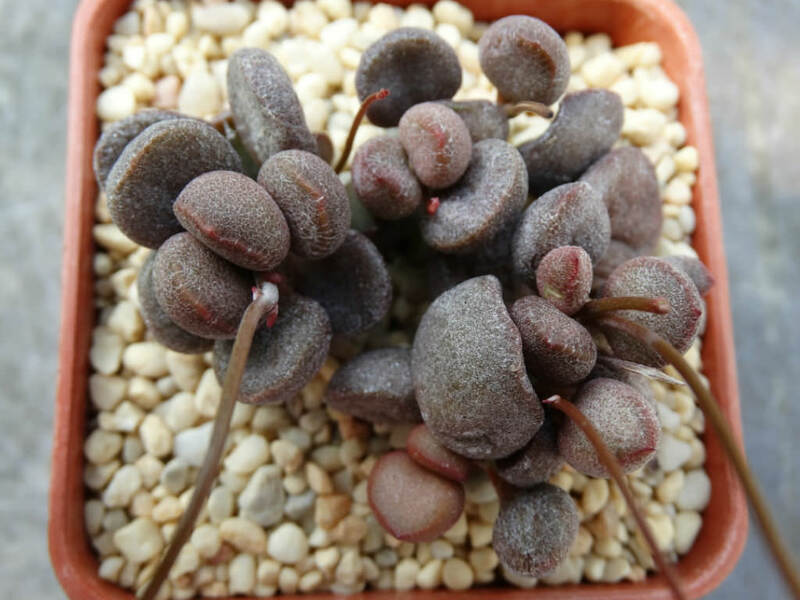 The leaves are sub-spherical to elliptic, grey-green to grayish brown, up to 1.2 inch (3 cm) long and arranged in a spiral on the main stem. The inflorescence is a spike-like thyrse with one flowered cyme up to 10 inches (25 cm) tall. 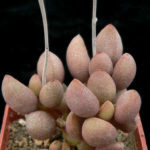 The flowers are pale pink and up to 0.5 inch (1.2 cm) long. 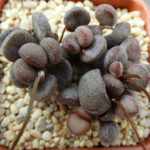 Many species are easy to grow in any free-draining gritty compost. 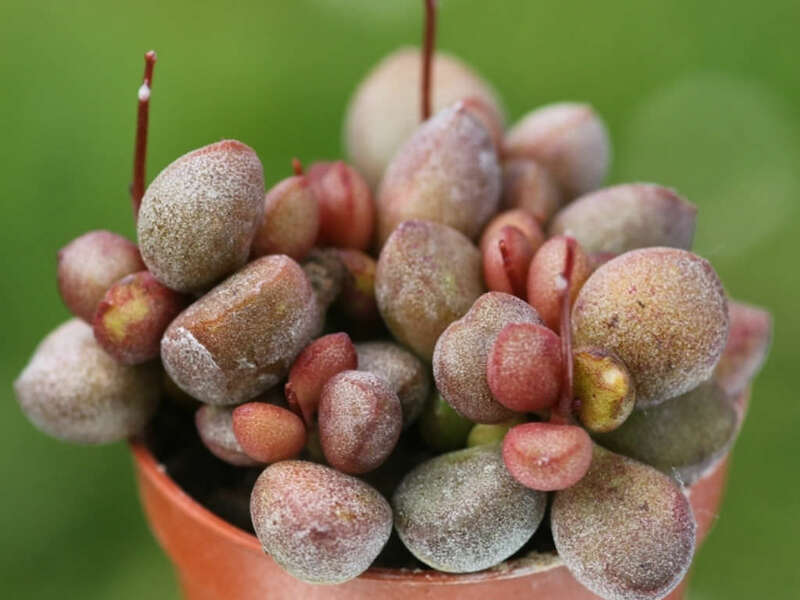 Their compact habit allows a collection to be maintained in a small space and they grow well on any sunny window ledge or the top shelf of the greenhouse. 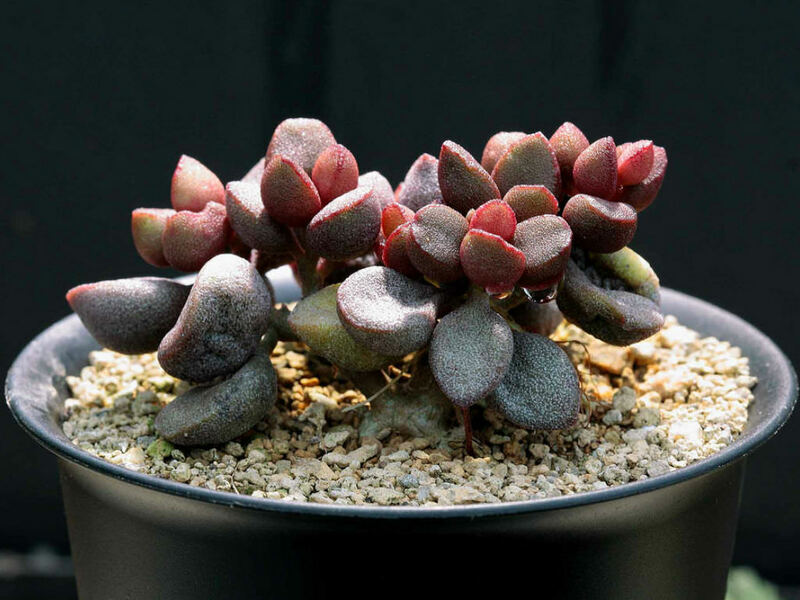 Water mostly in spring/autumn and let them dry out between watering. 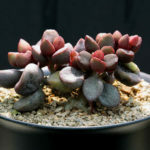 Adromischus tolerate cool, frost-free conditions during the winter if kept dry. It is as well to keep water off the foliage during the winter. Mealy bugs and vine weevils can be discouraged with a systemic insecticide. Frost hardy to 19 °F (-7 °C).